Midwest Industries is a quality manufacturer of tactical weapons accessories. Their goal is to manufacture the highest quality parts at affordable prices while providing top notch customer service. The majority of their products are designed and manufactured in their facility in Wisconsin, kept in stock, and are backed by a lifetime guarantee. It's that simple! 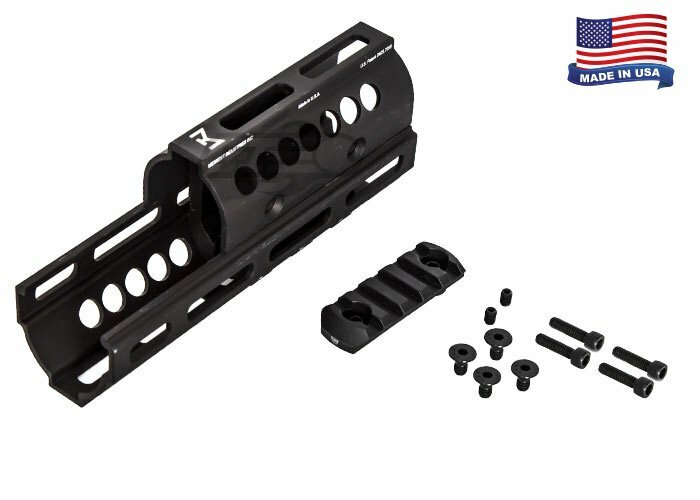 The Midwest Industries AK M-LOK Handguard installs in minutes using nothing but the wrench provided with the kit, no gunsmithing required. 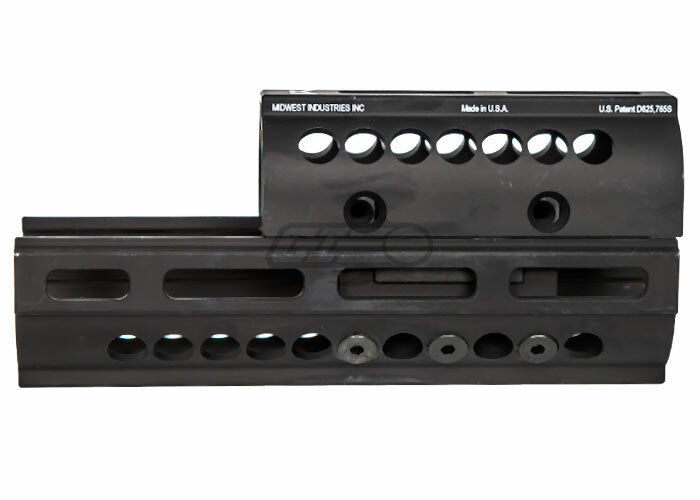 Included for enhancement is a one five slot M-LOK compatible rail section. 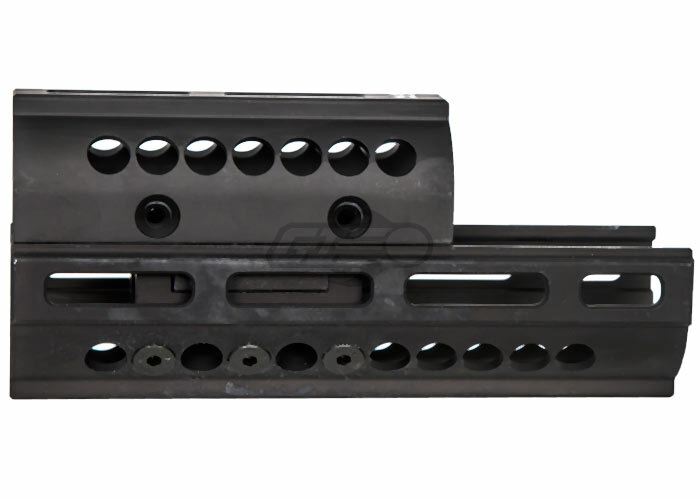 This handguard is lightweight, constructed out of 6061 aluminum, and hard coat anodized for a lifetime of service. With the M-LOK compatible top cover weighing in at only 6.7 ounces! Made in the U.S.A.
Midwest Industries, Inc. stands behind every item they produce. If you are the original purchaser and a MI product fails due to a manufacturing, assembly, or material defect, and you have not modified or abused the item, it will be repaired or replaced for life. Midwest Industries, Inc. is not responsible for items intentionally/accidently damaged or destroyed, or products damaged by abuse/poor maintenance. This warranty is limited to the repair or replacement of the part or parts which are returned to Midwest Industries, Inc. and are determined by Midwest Industries, Inc. to be defective. Will this rail system have proper fitment on the AKG by KWA?????? Some modification may be required to fit. It should, however, there is a chance that modification will be required for proper fitment.